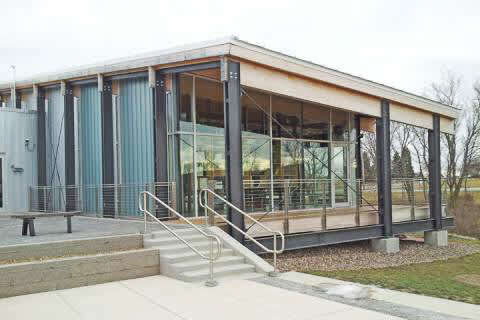 The Environmental Education Center is a 1,250 square foot all-season event venue. The location is the perfect size for a meeting, company gathering, family reunion or other function. The venue can accommodate around 50 guests at tables or classroom style seating, or up to 75 in an informal reception setting. Tables and chairs are provided. The upper outdoor patio is 700 square feet and the lower patio seating area is 400 square feet.